Human rights is all too often the first casualty of national insecurity. How can democracies cope with the threat of terror while protecting human rights? This timely volume compares the lessons of the United States and Israel with the “best-case scenarios” of the United Kingdom, Canada, Spain, and Germany. 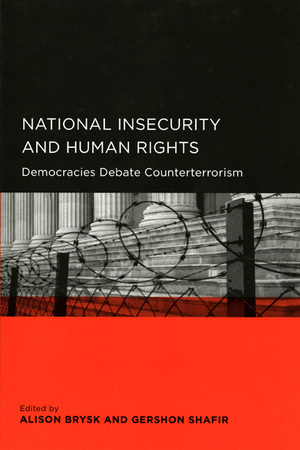 It demonstrates that threatened democracies have important options, and democratic governance, the rule of law, and international cooperation are crucial foundations for counterterror policy. Alison Brysk is Professor of Political Science and International Studies at the University of California, Irvine. Gershon Shafir is Professor of Sociology and Director of the Institute for International, Comparative, and Area Studies at the University of California, San Diego.